A good new artist on the scene. 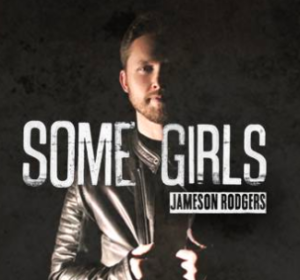 Jameson Rodgers is a new guy on the scene in country music. He has a great country voice with a rock edge. The closest one I would compare him to in today’s country would be Tyler Farr. A little gravely, but you feel like it’s who he really. You can almost feel that he loves old trucks and spending time in the woods and on the lake. Anyway, Jameson had a great single out earlier this year. Now he’s got another one that sounds just as good and perhaps even better. Will it get him some mainstream attention? We’ll have to wait and see on that front. Sawyer Brown will always own the “some girls” saying in country music. At least for fans like me. The realization is that you can’t be everything to everyone out there. You have to accept who you are and look for those that appreciate you. This is not the same song as Sawyer Brown obviously, but it’s a similar theme. A little more dark. A little more edgy and rocking. A little more Brantley Gilbert, which would be intense. And it works for Jameson. You can feel his frustration, but also appreciation for the way girls and women are. Some make it easy. They make life easy. They make love easy. They fit together perfectly with the man you are. Then there are the ones that you want to make it worth with, but it’s never going to be. And I’m sure the opposite is just as true.